People, I owe you a few Burger recipes! Burger toppings to start with. I’ve been a bad friend over the last few weeks pretty much neglecting everyone. But I will make it up with two amazing ly easy recipes today. Promise! I’ve been horribly busy with work and with setting up this place and moving here. Hence the silence and my one-week delay in delivering those recipes. A bit belated let’s talk burger toppings now. With Burgers it’s pretty much the same as with any sandwich. The difference between a good one and an outstandingly good one lies in the toppings. Of course you need a good bun and of course the heart of any Burger is a great Burger Patty but only the right burger toppings add complexity in flavor and texture to your Burger experience. When it comes to food I am a pretty sensual person. Complexity is always a win. Different colors, scents and textures draw me in. I mean sometimes the ugliest food is amongst the most delicious, but in general when food looks and smells appealing and you can expect a combination of creaminess and crunch I am a goner! So we talk burger toppings today. First and foremost I must say that lettuce or any kind of salad and cheese is a Burger topping staple and I am also a huge fan of bacon on my Burger. But I’ll tell you a bit about building a Burger on Friday when we talk about the Burger Patty. Today we focus on the simple yet ridiculously healthy and yummy sauces. Both of them alone are delicious but in combination they’ll knock you off your socks! The first sauce I like to introduce you to is this really easy and quick raw salsa. You might be wondering why there’s no heat in this salsa. I like to keep this salsa very basic because this time the Burger Patty will take the part of heating up the party. However there’s no reason for not adding a few chili flakes or a tsp of sriracha to make the salsa hot. 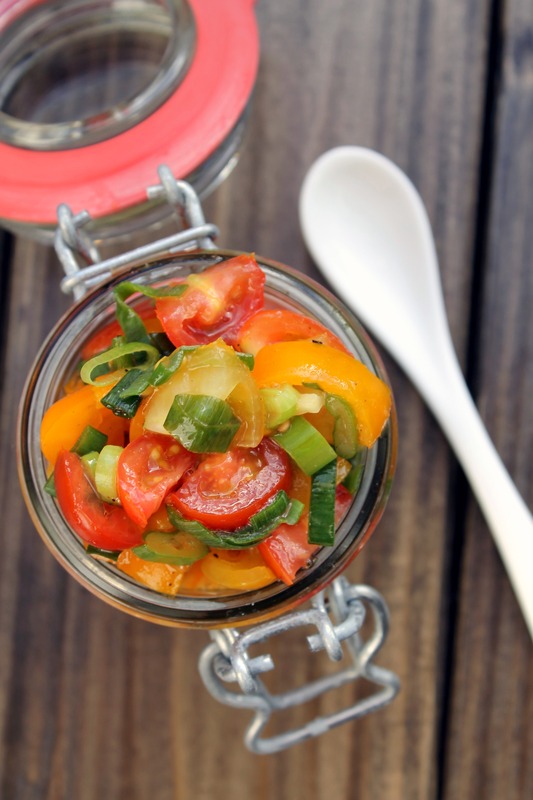 A easy and quick raw salsa recipe with a fruity, spicy and tart flavor. A great topping for sandwiches, burgers or any salad. You can serve the salsa immediately but I recommend to let it sit in the fridge for at least 2 h to help the flavors to delvelop. 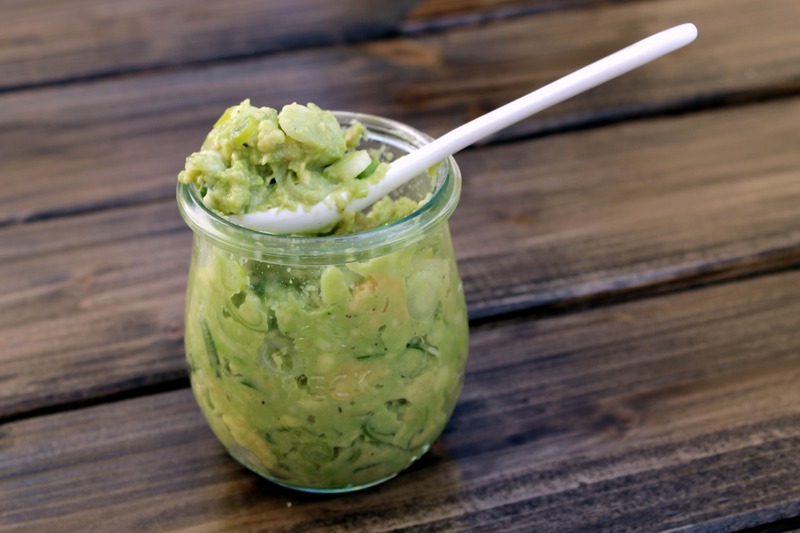 The second sauce and not only a staple of mine when it comes to burger toppings is this really easy Lime Guacamole! Guacamole is one of my favorite burger toppings ever. Scrap that! Seriously, EVERYTHING is better with a dollop of guac on top. It’s creamy and rich in flavor, chock-full of healthy fats, deliciously satifying and just the right thing to eat anytime with basically anything. Next to burger I prefer to load up the spoon! A creamy and rich flavored guacamole recipe that is deliciously satifying, full of healthy fats and has a splash of fresh tartness. It's THE right thing to eat anytime with basically anything. Or like I usually do, just cut the avocado in halves and scoop out the flesh with a fork. This way you also spare yourself a bit of the mashing part. Sometimes the avocado is a bit too hard to mash easily. If that's the case just cut it into pieces, add the lime juce and mash it after the rest time of 30 minutes. The lime softens the avocado flesh and it will be easy to mash. Okay for now you know how to make a Quick and Easy Burger Bun and you also know how to make two great sauces to top your Burgers. On Friday we’ll bring it all together and built my favorite homemade Burger. I can’t wait! By the way if I have leftovers I like to top up my salads with them. A bit salsa and guac catapult a basic salad to a wonderful lunch I am keen on unpacking for the whole morning. WINNER! What’s your favorite thing to top a burger with? Yeessss. Easy and delicious! This has me aching for summer again to pull out the barbecue and have burgers on the deck. I guess I have a few more months to go for that :(. 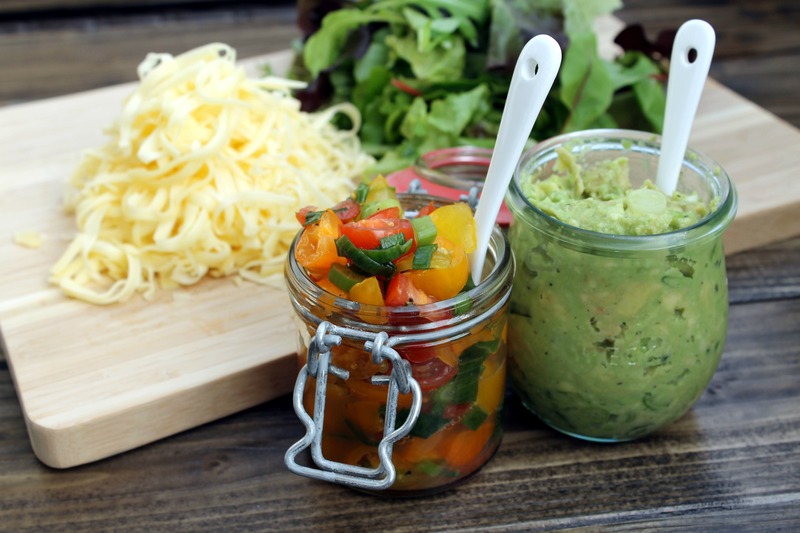 I always forget how easy it is to make your own salsa – time to stop buying it in a jar Jen! My fav burger toppings have to be bacon, cheese and guac…. Mmmmm! Yes, it’s so annoying when the avocado is harder than expected. Or worse already off when it feels still fine from the outside. Btw this works with lemon juice as well. Bacon, Cheese and Guac… Jen, one day we’ll have to have Burger together!!! I love toppings, dips, and dressings, so with or without a burger, I’d be happy with either of these. In fact, they sound like they’d be phenomenal on some huevos. Granted, the Hubby would totally put them on a burger. Either way, I know I’m in good hands with these recipes. Oh yeah they would indeed go great on some huevos! That’s the great thing about toppings, they go great with so many different dishes.